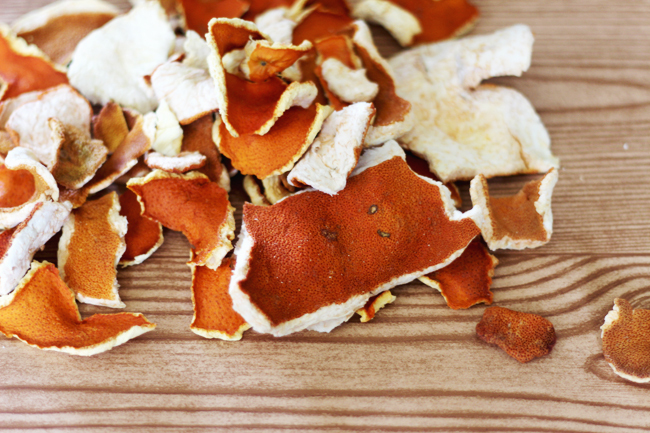 Ever wondered if there was anything you could do with your orange peels besides throwing them away? Save them for orange peel powder! 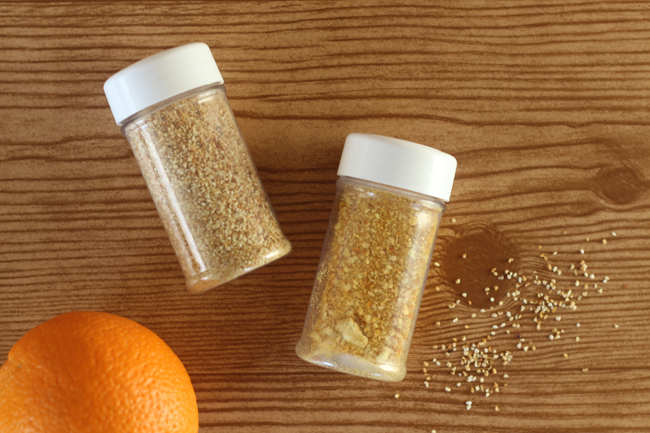 Orange peel powder is absolutely delicious sprinkled on yogurt, tossed in smoothies, on salad and on a variety of other dishes. You can even use it as a face scrub and/or a face mask! And surprisingly, the peel has even more vitamins, mineral and nutrients than the fruit! As a face treatment it cleanses, tones, exfoliates and it's antibacterial. You can cut your peel into small pieces to make them dry faster. They could dry complete within an hour or two. I leave mine to dry overnight. 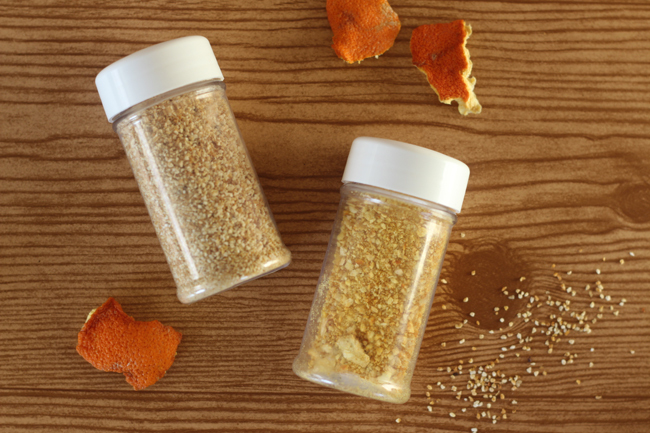 Dehydrating or air-drying your orange peel preserves the nutrients, but if you watch your peels carefully you may be able to bake them at your oven's lowest heat, but it will lose some nutrients due to the temperature. Whatever method you choose, make sure it's completely bone-dry before you grind because any moisture will create microbe growth that spoils your powder. From there I blended it to a fine powder with my trusty vita-mix blender. A regular blender should work, too, but you may have do this at about 1/4 to 1/3 cup of peel at a time. I believe three oranges and three grapefruits produced the large amount of powder you see here! It's easy to always have a stockpile of this for skin care, home cleaning (make a scouring scrub) and adding nutrition and flavor to food and spice mixes! Yum! And to think I was buying the powder and throwing away my orange peels? Why?! Also of note, there are substantially more enzymes, flavonoids and phytonutrients in the peel of the orange than in the fruit itself! 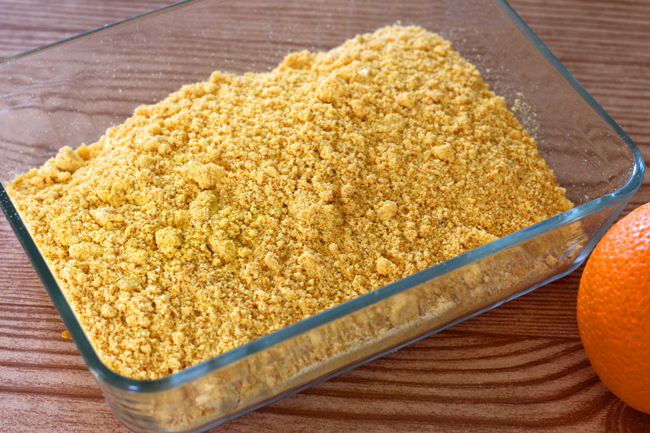 It's good for digestion and is an excellent source of vitamin C.
By the way, the store-bought orange peel powder is on the left and the freshly-made powder on the right. The store-bought still smells good, but the fresh one is even more pungent and delightfully aromatic. You'll note the color is brighter too, which usually means there's more nutrients. This is the perfect spice to keep on-hand during the cold and flu season for a vitamin c boost. I once made a pot pourri with dried orange peel! I love it in smoothies and on deserts, it's amazing for all kinds of dishes. 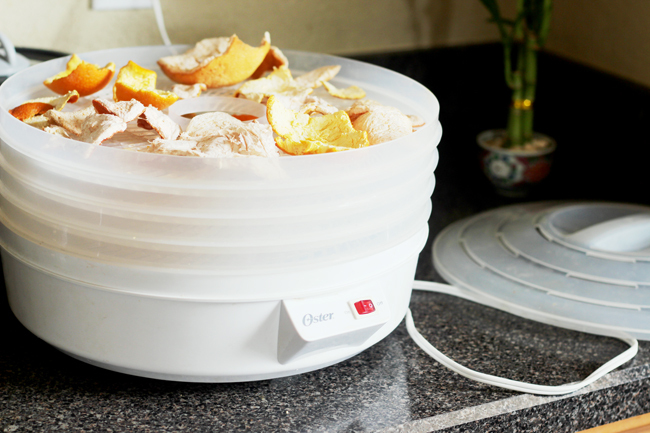 The pot pourri with dried orange sounds like a great idea, too! I'm not sure if it's mentioned in the post but citrus is photo toxic, so any preparations would need to be done at night to avoid becoming sun sensitive and/or sunburned! Also, go easy on it since citric acid, is, of course, an acid and can leave skin over-processed and tender with overuse. Were the peels bone dry before you ground them? Mine don't clump at all, I do dehydrate the peels overnight and have them in a tightly sealed jar to keep humidity out. 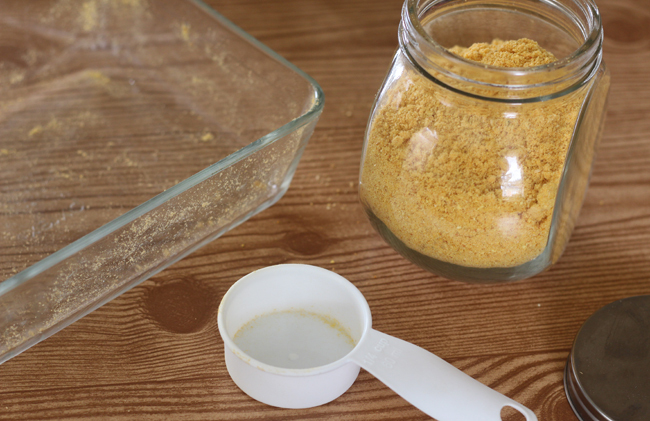 You could also put gel packs into the container to whisk away moisture as an extra precaution. I never thought of making my own. I bet it's much cheaper than the store-bought kind.